Equity is a financial instrument which represents an ownership interest in a company. Investing in equity of public limited companies that are listed on a stock exchange entails acquiring the shares or stock of the company. While equity is considered to be a high risk return investment due to the huge scope of appreciation or loss on capital as it directly depends on the company’s performance, general market conditions and the economic situation of the country, it occupies a prominent place in most investors’ portfolio. Despite being a high risk investment, equity remains the most popular form of financial investment. In spite of market ups and downs, equity remains the best performing asset class over a long period of time. So, it is important that every investor must allocate some part of his portfolio towards equity shares. By buying a stake in a company, an investor seeks returns in form of capital appreciation. Further, many companies reward their investors by paying dividends which are a part of their earnings. You can build your portfolio by reinvesting these dividends. If you have an appetite for high risk, then equity should form a major portion of your portfolio. On the other hand, for risk-averse investors who seek assured returns, at least some portion of their portfolios should be allocated to equity to spice up their portfolio. In general, the proportion of your investment in equities depends on various factors such as your investment objectives, time horizon and risk appetite. A thumb rule states that if you reduce your age from 100, that’s the proportion of your funds you should allocate to equity. By tracking and analyzing stocks, you can spot and cash-in on opportunities as and when they emerge which will maximize your profitability. While relying on advice of brokers and market experts should form the basis for your selection process, due consideration must be given to your investment objective, risk profile and the stock fundamentals. Fundamental analysis will tell you whether a stock is currently undervalued, correctly priced or overvalued, thereby enabling you to choose the scrip that has a scope of appreciation. An investor must not hesitate to rein his equity portfolio if the company’s business prospects deteriorate or investors’ circumstances or objectives change. What factors determine the price of a stock? The value of a stock reflects its true price. The factors that determine the price of a stock include demand and supply and the fundamentals of the company including its growth potential. Demand and Supply: In the short term, the basic economic theory of demand and supply determines a stock’s worth. So, when the demand for a stock exceeds its supply (that is, there are more buyers than sellers), its price tends to rise. And, when supply overtakes demand (that is, sellers exceed buyers), the stock loses value. However, these are short-term market trends, which tend to get evened out over a period of time. In the medium to long-term, a stock is driven by the company’s fundamental strength i.e. business potential, past performance, competence and credibility of its promoters, management, etc. Growth Potential: Investors are willing to pay a premium for stocks of companies that have the potential to increase their revenues and net profits. ‘The greater this growth potential, the higher the premium given to the stock’. If a company proves that it is capable of sustaining growth, the market will continue to give it high valuations. And, that’s likely to be the major driver for stock valuations. Fundamentals: A company’s growth outlook is linked to its business prospects and how well its management is capitalizing on the existing opportunities. The quality of a company’s management is crucial. So, pay attention to the management practices of a company and its level of corporate governance. When is the best time to buy/ sell stocks to maximize profits? The general thumb rule is to buy at a low price and sell at a high price to earn profits. However, many investors commit the folly of investing in overvalued stocks or stocks that have surged and are basking in the media spotlight. Instead, stocks that have had a recent good run may be overbought, offering an opportunity to sell rather than buy (sell high). Similarly, it’s a great idea to invest in a stock that has had a bearish run (buy low) as long as the fundamentals of the stock are bullish in the long term. In conclusion, an investor can profit by buying high-quality stocks when they are undervalued, and sell when the stocks become overvalued. What are the risks in investing in equities? An equity investment does carry certain risks. Some are related to the particular stock including the company’s business prospects, also known as unsystematic risk. However, some risks are common to all stocks i.e. market risks and macro-economic risks, which are also known as systematic risk. Investors can almost entirely eliminate unsystematic risk by a diversification strategy which will reduce his exposure to a particular sector or stock. Business risks- these risks are related to the success of the company’s business and the demand for its products. It is related to the company’s performance including its ability to capture market share. Financials risks- these risks concern the company’s ability to manage its finances to ensure that it has an optimum level of debt, equity and reserves. Higher levels of debt or financial leverage may mean higher interest costs and reduced earnings to equity shareholders. Industry risk- Industry in which the company operates is affected by changes in technology, regulations and fashions, which in turn may affect the performance of the company. Management risks- the level of corporate governance, management skills and vision. Political, economic and exchange rate risks- these macro-economic risks affect all stocks and are outside the control of a company. Market risks- this is the risk of investing in the stock market in general. It is the risk that the market may turn bearish or that you have invested at the peak of the market cycle. What is the process of investing in equity? To invest in equities, an investor needs to open the following accounts. A bank account for cash payments and receipts. You may also use your existing bank accounts for this purpose. Additionally, an investor must decide that whether he wants to invest by making purchases or taking delivery of shares or by undertaking margin trading wherein an investor has to only pay a portion of the purchase price while the broker funds the remaining cost of shares. Margin trading which can magnify your buying power doesn’t involve delivery of shares as an investor only books profits or loss. Derivatives, such as futures or options, are financial contracts which derive their value from a spot price, which is called the” underlying”. For example, wheat farmers may wish to enter into a contract to sell their harvest at a future date to eliminate the risk of a change in prices by that date. Such a transaction would take place through a forward or futures market. This market is the “derivatives market", and the prices of this market would be driven by the spot market price of wheat which is the “underlying”. The term “contracts" is often applied to denote the specific traded instrument, whether it is a derivative contract in wheat, gold or equity shares. The world over, derivatives are a key part of the financial system. The most important contract types are futures and options, and the most important underlying markets are equity, treasury bills, commodities, foreign exchange, real estate etc. Forward contracting is very valuable in hedging and speculation. The classic hedging application would be that of a wheat farmer forward -selling his harvest at a known price in order to eliminate price risk. Conversely, a bread factory may want to buy bread forward in order to assist production planning without the risk of price fluctuations. If a speculator has information or analysis which forecasts an upturn in a price, then he can go long on the forward market instead of the cash market. The speculator would go long on the forward, wait for the price to rise and then take a reversing transaction making a profit. In the first two of these, the basic problem is that of too much flexibility and generality. The forward market is like the real estate market in that any two persons can form contracts against each other. This often makes them design terms of the deal which are very convenient in that specific situation for the specific parties, but makes the contracts non-tradable if more participants are involved. Also the “phone market" here is unlike the centralisation of price discovery that is obtained on an exchange, resulting in an illiquid market place for forward markets. Counterparty risk in forward markets is a simple idea: when one of the two sides of the transaction chooses to declare bankruptcy, the other suffers. Forward markets have one basic issue: the larger the time period over which the forward contract is open, the larger are the potential price movements, and hence the larger is the counter- party risk. Even when forward markets trade standardized contracts, and hence avoid the problem of illiquidity, the counterparty risk remains a very real problem. Futures markets were designed to solve all the three problems (listed in Question 4) of forward markets. Futures markets are exactly like forward markets in terms of basic economics. However, contracts are standardized and trading is centralized (on a stock exchange). There is no counterparty risk (thanks to the institution of a clearing corporation which becomes counterparty to both sides of each transaction and guarantees the trade). In futures markets, unlike in forward markets, increasing the time to expiration does not increase the counter party risk. Futures markets are highly liquid as compared to the forward markets. 6. What are various types of derivative instruments traded at NSE? Futures: A futures contract is an agreement between two parties to buy or sell an asset at a certain time in the future at a certain price. All the futures contracts are settled in cash at NSE. Options: An Option is a contract which gives the right, but not an obligation, to buy or sell the underlying at a stated date and at a stated price. While a buyer of an option pays the premium and buys the right to exercise his option, the writer of an option is the one who receives the option premium and therefore obliged to sell/buy the asset if the buyer exercises it on him. "Calls" give the buyer the right but not the obligation to buy a given quantity of the underlying asset, at a given price on or before a given future date. "Puts" give the buyer the right, but not the obligation to sell a given quantity of underlying asset at a given price on or before a given future date. All the options contracts are settled in cash. American Option - American options are options contracts that can be exercised at any time up to the expiration date. Options on individual securities available at NSE are American type of options. Options contracts like futures are Cash settled at NSE. 7. What are various products available for trading in Futures and Options segment at NSE? Indices: Nifty 50 CNX IT Index, Bank Nifty Index, CNX Nifty Junior, CNX 100, Nifty Midcap 50, Mini Nifty and Long dated Options contracts on Nfity 50. 2) Price Risk Transfer- Hedging - Hedging is buying and selling futures contracts to offset the risks of changing underlying market prices. Thus it helps in reducing the risk associated with exposures in underlying market by taking counter- positions in the futures market. For example, an investor who has purchased a portfolio of stocks may have a fear of adverse market conditions in future which may reduce the value of his portfolio. He can hedge against this risk by shorting the index which is correlated with his portfolio, say the Nifty 50. In case the markets fall, he would make a profit by squaring off his short Nifty 50 position. This profit would compensate for the loss he suffers in his portfolio as a result of the fall in the markets. 3) Leverage- Since the investor is required to pay a small fraction of the value of the total contract as margins, trading in Futures is a leveraged activity since the investor is able to control the total value of the contract with a relatively small amount of margin. Thus the Leverage enables the traders to make a larger profit (or loss) with a comparatively small amount of capital. An investor can trade the 'entire stock market' by buying index futures instead of buying individual securities with the efficiency of a mutual fund. 10. How do I start trading in the derivatives market at NSE? Futures/ Options contracts in both index as well as stocks can be bought and sold through the trading members of NSE. Some of the trading members also provide the internet facility to trade in the futures and options market. You are required to open an account with one of the trading members and complete the related formalities which include signing of member-constituent agreement, know Your Client (KYC) form and risk disclosure document. The trading member will allot to you a unique client identification number. To begin trading, you must deposit cash and/or other collaterals with your trading member as may be stipulated by him. 11. What is the Expiration Day? 12. What is the contract cycle for Equity based products in NSE? Futures and Options contracts have a maximum of 3-month trading cycle -the near month (one), the next month (two) and the far month (three), except for the long dated Options contracts. New contracts are introduced on the trading day following the expiry of the near month contracts. The new contracts are introduced for three month duration. This way, at any point in time, there will be 3 contracts available for trading in the market (for each security) i.e., one near month, one mid month and one far month duration respectively. For example on January 26,2008 there would be three month contracts i.e. Contracts expiring on January 31,2008, February 28, 2008 and March 27, 2008. On expiration date i.e. January 31, 2008, new contracts having maturity of April 24, 2008 would be introduced for trading. 13. What is the concept of in the money, at the money and Out of the money in respect of Options? At-the-money-option (ATM) - An at-the money option is an option that would lead to zero cash flow if it were exercised immediately. An option on the index is said to be "at-the-money" when the current price equals the strike price. Out-of-the-money-option (OTM) -An out-of- the-money Option is an option that would lead to negative cash flow if it were exercised immediately. A Call option is out-of-the-money when the current price stands at a level which is less than the strike price. If the current price is much lower than the strike price the call is said to be deep out-of-the money. In case of a Put, the Put is said to be out-of-money if current price is above the strike price. 14. Is there any Margin payable? 1. Why should there be margins? Just as we are faced with day to day uncertainties pertaining to weather, health, traffic etc and take steps to minimize the uncertainties, so also in the stock markets, there is uncertainty in the movement of share prices. This uncertainty leading to risk is sought to be addressed by margining systems of stock markets. Suppose an investor, purchases 1000 shares of 'xyz' company at Rs.100/- on January 1, 2008. Investor has to give the purchase amount of Rs.1, 00,000/­(1000 x 100) to his broker on or before January 2, 2008. Broker, in turn, has to give this money to stock exchange on January 3, 2008. There is always a small chance that the investor may not be able to bring the required money by required date. As an advance for buying the shares, investor is required to pay a portion of the total amount of Rs.1, 00,000/- to the broker at the time of placing the buy order. Stock exchange in turn collects similar amount from the broker upon execution of the order. This initial token payment is called margin. Remember, for every buyer there is a seller and if the buyer does not bring the money, seller may not get his / her money and vice versa. Therefore, margin is levied on the seller also to ensure that he / she gives the 100 shares sold to the broker who in turn gives it to the stock exchange. Margin payments ensure that each investor is serious about buying or selling shares. In the above example, assume that margin was 15%. That is investor has to give Rs.15, 000/-(15% of Rs.1, 00,000/) to the broker before buying. Now suppose that investor bought the shares at 11 am on January 1, 2008. Assume that by the end of the day price of the share falls by Rs.25/-That is total value of the shares has come down to Rs.75, 000/-. That is buyer has suffered a notional loss of Rs.25, 000/-. In our example buyer has paid Rs.15, 000/- as margin but the notional loss, because of fall in price, is Rs.25, 000/-. That is notional loss is more than the margin given. In such a situation, the buyer may not want to pay Rs.1, 00,000/- for the shares whose value has come down to Rs.75, 000/-. Similarly, if the price has gone up by Rs.25/-, the seller may not want to give the shares at Rs.1, 00,000/-. To ensure that both buyers and sellers fulfill their obligations irrespective of price movements, notional losses are also need to be collected. Prices of shares keep on moving every day. Margins ensure that buyers bring money and sellers bring shares to complete their obligations even though the prices have moved down or up. Different people have different definitions for volatility. For our purpose, we can say that volatility essentially refers to uncertainty arising out of price changes of shares. It is important to understand the meaning of volatility a little more closely because it has a major bearing on how margins are computed. 3. How is volatility computed? Can you give an example? As mentioned earlier, volatility has different definitions and therefore different people compute it differently. For our understanding purpose, let us compute volatility based on close prices of a share over last 6 months. Since it is based on historical data, let us call it "historical volatility". 4. What is the difference between price movements and volatility? Prices of shares fluctuate depending on the future prospects of the company. We hear of stock prices going up or down in the markets every day. Popularly, a share is said to be volatile if the prices move by large percentages up and/or down. A stock with very little movement in its price would have lower volatility. Let us compute volatility of four companies W, X, Y and Z to see how daily price movements of these companies affect the computed historical volatility. As you can see from the above, prices of shares of 'W' company moved up and down through out the period and the price changes were ranging from -5.51% to 5.78%. The calculated historical volatility is 3.85% for the period. Shares of company 'Y' moved steadily downwards and the price changes were between -2.45% and 0.58%. Here the historical volatility is once again 0.62%. Shares of company 'Z' moved up and down but with smaller percentage variations ranging from -0.52% to 0.40%. Here historical volatility is 0.32% and is the least volatile share of the four under consideration. Higher volatility means the price of the security may change dramatically over a short time period in either direction. Lower volatility means that a security's value may not change as dramatically. 5. Is volatility linked to the direction of price movements? No. Stock prices may move up or may move down. Volatility will capture the extent of the fluctuations in the stock, irrespective of whether the prices are going up or going down. In the above example shares of 'X' have moved up steadily whereas shares of 'Y' moved down steadily. However, both have same historical volatility. 6. How does change in volatility affect margins? Price movements vary from share to share. Some see larger up or down variations on daily basis and some see lower one way or both way movements. In our example under question 4, we considered share price movements of 4 companies W, X, Y and Z during the period January 1, 2008 to January 22, 2008. On the morning of January 23, 2008, no one knows what would be the closing price of these 4 shares. However, historical volatility number would tell you that shares of 'W' may move up or down by large percentage whereas shares of 'Z' may see a small percentage variation compared to close price on January 22, 2008. This is only an estimate based on past price movements. Since the uncertainty of price movements is very high for 'W', its shares would attract higher initial margin whereas shares of 'Z' would attract lower initial margin since its volatility is low. Let us deal with this aspect in more detail while exploring different types of margins. 7. Are margins same across cash and derivatives markets? Stock market is a complex place with variety of instruments traded on it. As shown above, one single margin for all shares may not be able to handle price uncertainty / risk. In our simple example under question 1, even within cash market, we have seen two types of margins, one at the time of placing the order and another to cover the notional loss. Shares traded on cash market are settled in two days whereas derivative contracts may have longer time to expiry. That is, derivative market margins have to address the uncertainty over a longer period. Therefore, SEBI has prescribed different ways to margin cash and derivatives trades taking into consideration unique features of instruments traded on these segments. 8. What are the types of margins levied in the cash market segment? 9. What is Value at Risk (VaR) margin? VaR Margin is at the heart of margining system for the cash market segment. VaR margin is collected on upfront basis. In that respect, it is similar to the margin we have seen in our example under question 1 while placing the order. Let us try and understand briefly what we mean by 'VaR'. The most popular and traditional measure of uncertainty / risk is Volatility, which we have understood earlier. While historical volatility tells us how the security price moved in the past, VaR answers the question, “How much is it likely to move over next one day?" VaR is a technique used to estimate the probability of loss of value of an asset or group of assets (for example a share or a portfolio of a few shares), based on the statistical analysis of historical price trends and volatilities. With 99% confidence, what is the maximum value that an asset or portfolio may loose over the next day? You can see how the "VaR question" has three elements: a relatively high level of confidence (99%), a time period (a day) and an estimate of loss (expressed either in rupees or percentage terms). The actual calculation of VaR is beyond the scope of this booklet. However, those who are interested in understanding the calculation methodology may refer any statistical reference material. Let us assume that an investor bought shares of a company. Its market value today is Rs.50 lakhs. Obviously, we do not know what would be the market value of these shares next day. An investor holding these shares may, based on VaR methodology, say that 1-day VaR is Rs.4 lakhs at the 99% confidence level. This implies that under normal trading conditions the investor can, with 99% confidence, say that the value of the shares would not go down by more than Rs.4 lakhs within next 1-day. In the stock exchange scenario, a VaR Margin is a margin intended to cover the largest loss (in %) that may be faced by an investor for his / her shares (both purchases and sales) on a single day with a 99% confidence level. The VaR margin is collected on an upfront basis (at the time of trade). 10. How is VaR margin calculated? VaR is computed using exponentially weighted moving average (EWMA) methodology. Based on statistical analysis, 94% weight is given to volatility on 'T­1' day and 6% weight is given to 'T' day returns. To compute volatility for January 1, 2008, first we need to compute day's return for Jan 1, 2008 by using LN (close price on Jan 1, 2008 / close price on Dec 31, 2007). Take volatility computed as on December 31, 2007. Volatility on December 31, 2007 = 0.0314 Closing price on December 31, 2007 = Rs. 360 Closing price on January 1, 2008 = Rs. 330 January 1, 2008 volatility = Square root of [(0.94*(0.0314)*(0.0314) + 0.06 (0.08701)* (0.08701)] = 0.037 or 3.7% Now, to arrive at VaR margin rate, companies are divided into 3 categories based on how regularly their shares trade and on the basis of liquidity (that is, by how much a large buy or sell order changes the price of the scrip, what is technically called 'impact cost'. Detailed note on impact cost is available in annexure B). Group I consists of shares that are regularly traded (that is, on more than 80% of the trading days in the previous six months) and have high liquidity (that is, impact cost less than 1%). Group II consists of shares that are regularly traded (again, more than 80% of the trading days in the previous six months) but with higher impact cost (that is, more than 1 %). All other shares are classified under Group III. For Group II shares, computation of VaR margin rate is a little complex. First take higher of 3.5 times volatility of the security or 3.0 times volatility of index (The volatility of index is taken as the higher of the daily Index volatility based on S&P CNX NIFTY or BSE SENSEX. At any point in time, minimum value of volatility of index is taken as 5%). The number arrived at as above is then multiplied by 1.732051 (that is, square root of 3). The number so obtained is the VaR margin rate. For Group III securities VaR margin rate would be 5.0 times volatility of the Index multiplied by 1.732051 (that is, square root of 3). 11. How is the Extreme Loss Margin computed? The extreme loss margin aims at covering the losses that could occur outside the coverage of VaR margins. The Extreme loss margin for any stock is higher of 1.5 times the standard deviation of daily LN returns of the stock price in the last six months or 5% of the value of the position. This margin rate is fixed at the beginning of every month, by taking the price data on a rolling basis for the past six months. In the Example given at question 10, the VaR margin rate for shares of ABC Ltd. was 13%. Suppose that standard deviation of daily LN returns of the security is 3.1%. 1.5 times standard deviation would be 1.5 x 3.1 = 4.65. Then 5% (which is higher than 4.65%) will be taken as the Extreme Loss margin rate. 12. How is Mark-to-Market (MTM) margin computed? MTM is calculated at the end of the day on all open positions by comparing transaction price with the closing price of the share for the day. In our example in question number 1, we have seen that a buyer purchased 1000 shares @ Rs.100/­at 11 am on January 1, 2008. If close price of the shares on that day happens to be Rs.75/-, then the buyer faces a notional loss of Rs.25,000/- on his buy position. In technical terms this loss is called as MTM loss and is payable by January 2, 2008 (that is next day of the trade) before the trading begins. In case price of the share falls further by the end of January 2, 2008 to Rs. 70/-, then buy position would show a further loss of Rs.5, 000/-. This MTM loss is payable by next day. In case, on a given day, buy and sell quantity in a share are equal, that is net quantity position is zero, but there could still be a notional loss / gain (due to difference between the buy and sell values), such notional loss also is considered for calculating the MTM payable. 13. Where can I find information of applicable VaR margins? 14. What are the types of margins levied in the Futures & Options (F&O) Segment? 15. How is Initial Margin Computed? Initial margin for F&O segment is calculated on a portfolio (a collection of futures and option positions) based approach. The margin calculation is carried out using a software called - SPAN® (Standard Portfolio Analysis of Risk). It is a product developed by Chicago Mercantile Exchange (CME) and is extensively used by leading stock exchanges of the world. SPAN® uses scenario based approach to arrive at margins. Value of futures and options positions depend on, among others, price of the security in the cash market and volatility of the security in cash market. As you would agree, both price and volatility keep changing. To put it simply, SPAN® generates about 16 different scenarios by assuming different values to the price and volatility. For each of these scenarios, possible loss that the portfolio would suffer is calculated. The initial margin required to be paid by the investor would be equal to the highest loss the portfolio would suffer in any of the scenarios considered. The margin is monitored and collected at the time of placing the buy / sell order. The SPAN® margins are revised 6 times in a day - once at the beginning of the day, 4 times during market hours and finally at the end of the day. Obviously, higher the volatility, higher the margins. 16. How is exposure margin computed? In addition to initial / SPAN® margin, exposure margin is also collected. Exposure margins in respect of index futures and index option sell positions is 3% of the notional value. For futures on individual securities and sell positions in options on individual securities, the exposure margin is higher of 5% or 1.5 standard deviation of the LN returns of the security (in the underlying cash market) over the last 6 months period and is applied on the notional value of position. 17. How are Premium and Assignment margins computed? In addition to Initial Margin, a premium margin is charged to buyers of option contracts. The premium margin is paid by the buyers of the options contracts and is equal to the value of the options premium multiplied by the quantity of options purchased. For example, if 1000 call options on ABC Ltd are purchased at Rs. 20/-, and the investor has no other positions, then the premium margin is Rs. 20,000. The margin is to be paid at the time trade. Assignment Margin is collected on assignment from the sellers of the contracts. 18. Do I get margin benefit if I have positions on different underlying? No. Margin benefit is not provided for positions on different underlying in F&O segment. Do I get margin benefit if I have positions in both futures and options on same underlying? Do I get margin benefit if I have counter positions in different months on same underlying? Yes. Margin benefit is provided for positions in futures and options contracts on the same underlying. Yes. In case of calendar spread positions margin benefit is provided. However, the benefit is removed three days prior to expiry of the near month contract. There are four buy and four sell orders lying in the order book. The difference between the best buy and the best sell orders (in this case, Rs.0.50) is the bid-ask spread. If a person places an order to buy 100 shares, it would be matched against the best available sell order at Rs. 4 i.e. he would buy 100 shares for Rs. 4. If he places a sell order for 100 shares, it would be matched against the best available buy order at Rs. 3.50 i.e. the shares would be sold at Rs.3.5. Progressing further, it may be observed that the bid-ask spread as specified above is valid for an order size of 100 shares unto 1000 shares. However for a larger order size the transaction cost would be quite different from the bid-ask spread. This brings us to the concept of impact cost. We start by defining the ideal price as the average of the best bid and offer price, in the above example it is (3.5+4)/2, i.e. 3.75. In an infinitely liquid market, it would be possible to execute large transactions on both buy and sell at prices which are very close to the ideal price of Rs.3.75. In reality, more than Rs.3.75 per share may be paid while buying and less than Rs.3.75 per share may be received while selling. Such percentage degradation that is experienced vis-à-vis the ideal price, when shares are bought or sold, is called impact cost. Impact cost varies with transaction size. The sale price for 4000 shares is Rs.3.43, which is 8.53% worse than the ideal price of Rs.3.75. Hence we say "The impact cost faced in buying 4000 shares is 8.53%". Impact cost represents the cost of executing a transaction in a given stock, for a specific predefined order size, at any given point of time. Impact cost is a practical and realistic measure of market liquidity; it is closer to the true cost of execution faced by a trader in comparison to the bid-ask spread. In mathematical terms it is the percentage mark up observed while buying / selling the desired quantity of a stock with reference to its ideal price (best buy + best sell) / 2. 1 What is online trading in securities? Online trading in securities refers to the facility of investor being able to place his own orders using the internet trading platform offered by the trading member viz., the broker. The orders so placed by the investor using internet would be routed through the trading member. 2 How can one start trading online? To start with, investor needs to identify a trading member who offers internet trading facility and register with the trading member for availing the internet trading facility. 3 How to choose an online stock broker? Many of the big and medium sized trading members offer internet trading facility. Investor can get the details of trading members of the Exchange on the website www.nseindia.com. Identify brokers offering internet trading facility; check their references from persons having knowledge about financial markets and select a broker who has good reputation and capability to deliver all the services that are expected by the investor. Particular attention should be paid by the investor to the availability of support in case of technical problems while choosing the broker. 4 Who could use online trading? Usually, a person familiar in using computer, conversant with the use of internet and who is able to tackle routine problems associated with use of personal computers may opt for online trading. 5 Are there additional documents to be executed for registering as internet customer? As per SEBI and Exchange stipulations, in addition to execution of regular KYC documents, the investor would have to execute a specific Member- client agreement for internet trading which broadly spells out the rights and obligations of trading member and Investor besides alerting on system related risk, confidentiality of user id and password. 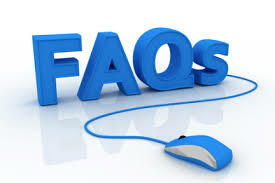 6 What documents are received usually after registration as an online trading client? On registering as online trading client with the trading member, normally investor receives a welcome kit containing the user-id and password allotted to the client. 7 What precautions an online investor must take on starting online trading? The Default password provided by the broker is changed before placing of order. Ensure that password is not shared with others. Change password at periodic interval. He has understood the manner in which the online trading software has to be operated. 8 What should investor know about failure of system that is being used for placing orders? Every online trading client should understand that there could be a possibility of failure of system which could include failure at various points including net work failure, connectivity failure etc. Generally, the trading members have alternate ways of servicing the investors in the eventuality of such failures. In order to mitigate risks arising from such failures, investor before starting trading should understand from the trading member about ways and means of dealing with such failures, steps that investor needs to take for knowing his position, closing the position etc. 9 What are the other safety measures online client must observe? Avoid placing order from the shared PC's / through cyber cafés. Log out after having finished trading to avoid misuse. Ensure that one does not click on “remember me” option while signing on from non-regular location. Do not leave the terminal unattended while one is “signed-on” to the trading system. Protect your personal computer against viruses by placing firewall and an anti-virus solution. You should not open email attachments from people you do not know. 10 How can one investor make sure that his access to trading is continuously available? In the course of his dealing, investor should always make sure that sufficient funds and securities are available in his account with the trading member and that he is regular in payment of margins so as to avoid blocking of account by the trading member. Where due to shortage of margin or funds not paid, the account is blocked and positions are squared off or securities are sold by the trading member, investor may get the details of such square-up, sales from the trading member. 11. Where online trades are being done is there any documents that I need to receive from the trading member for the trades executed? For every trade that takes place on the Exchange, the trading member needs to issue contract note within 24 hours from the date of execution of the trade. Generally, internet based investors opt for Digital contract notes. Hence, at the time of client registration investor should provide an email id which is regularly used. In case investor wishes to receive physical contract notes, he may specify so in the client registration document and cut off the email id column. Investor needs to regularly check the contract notes and if any variation in the trades is found needs to take up the issue with the trading member immediately. Besides the Contract Notes, trading member needs to issue quarterly statement of funds and securities to the investor and such statement can be digitally issued if investor has opted for digital document.